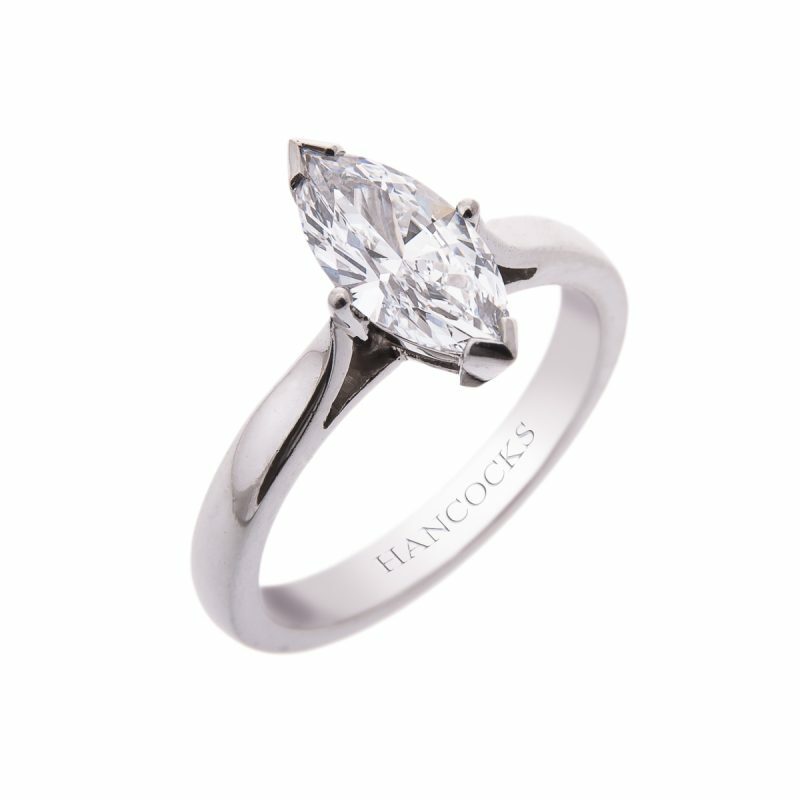 An elegant 0.76ct marquise diamond ring with a simple timeless design, mounted in a platinum V claw setting that accentuates the shape of this impressive diamond. 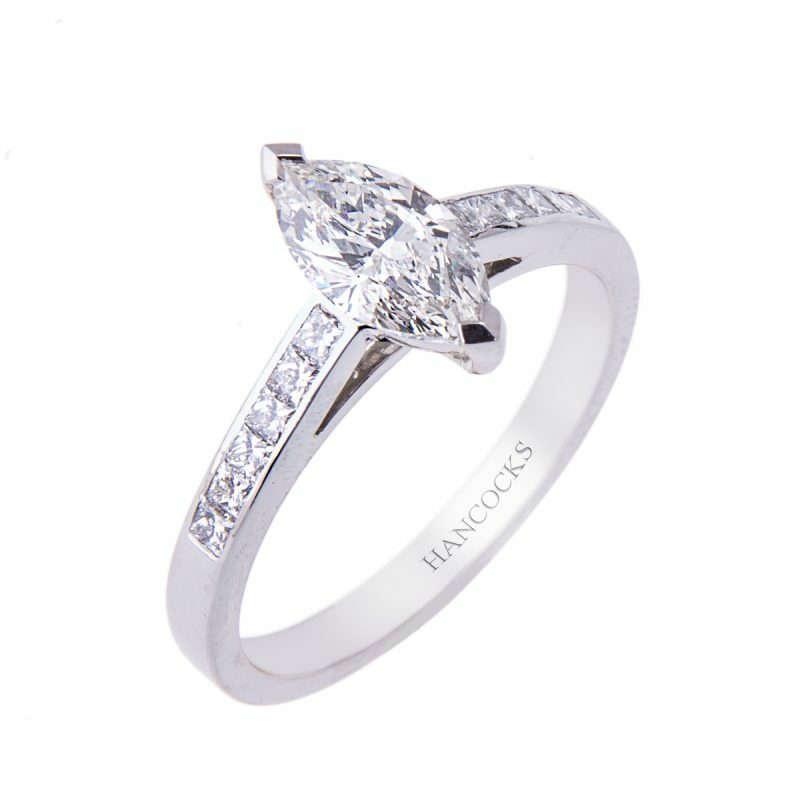 The diamond detail is continued down the shoulders with a row of channel set princess cut diamonds. 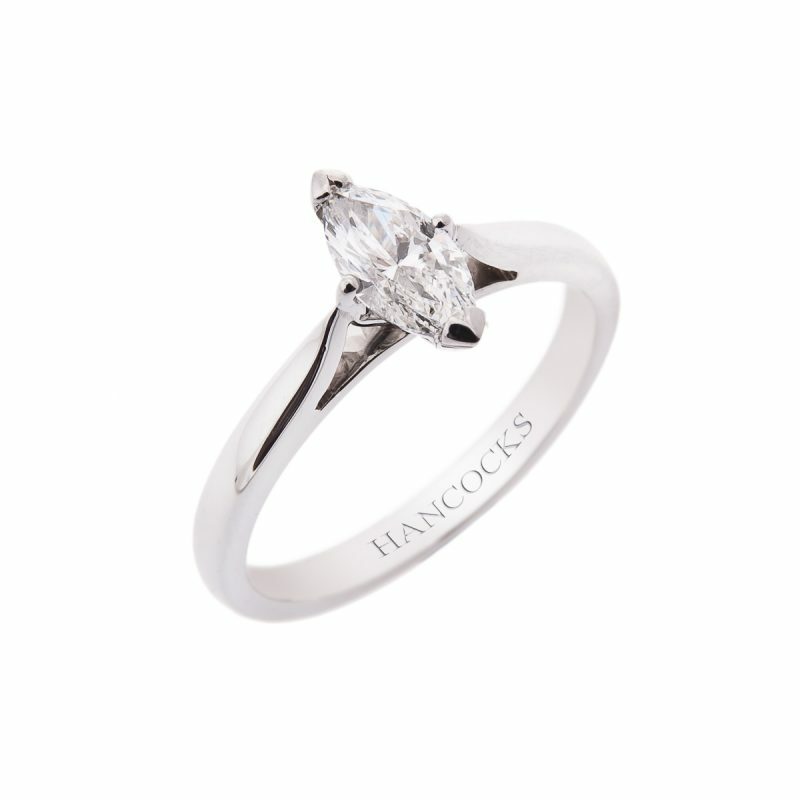 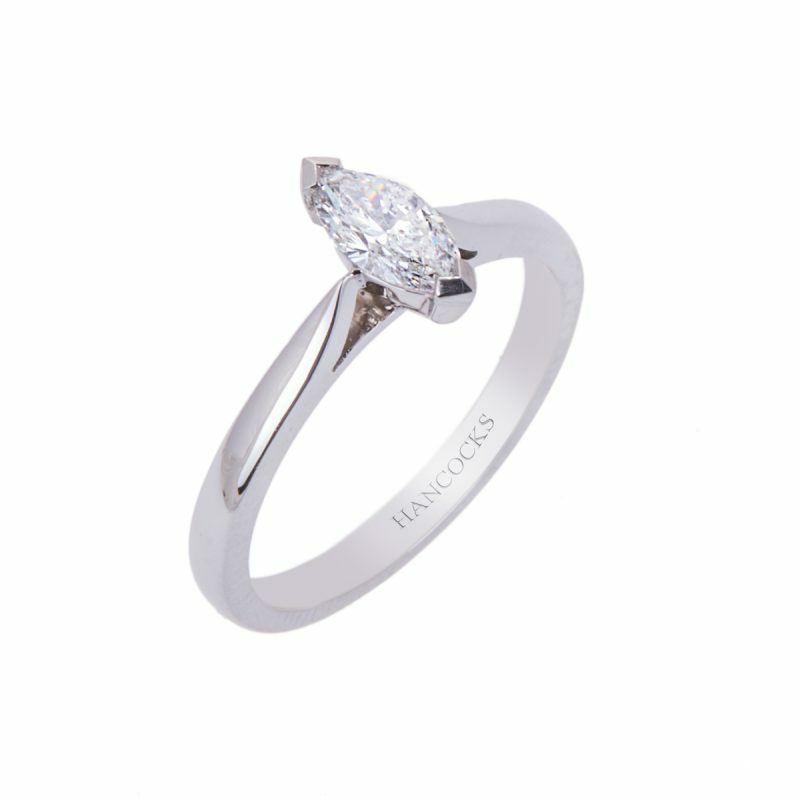 Every diamond is perfectly matched in colour and shape, making this a truly stunning engagement ring. 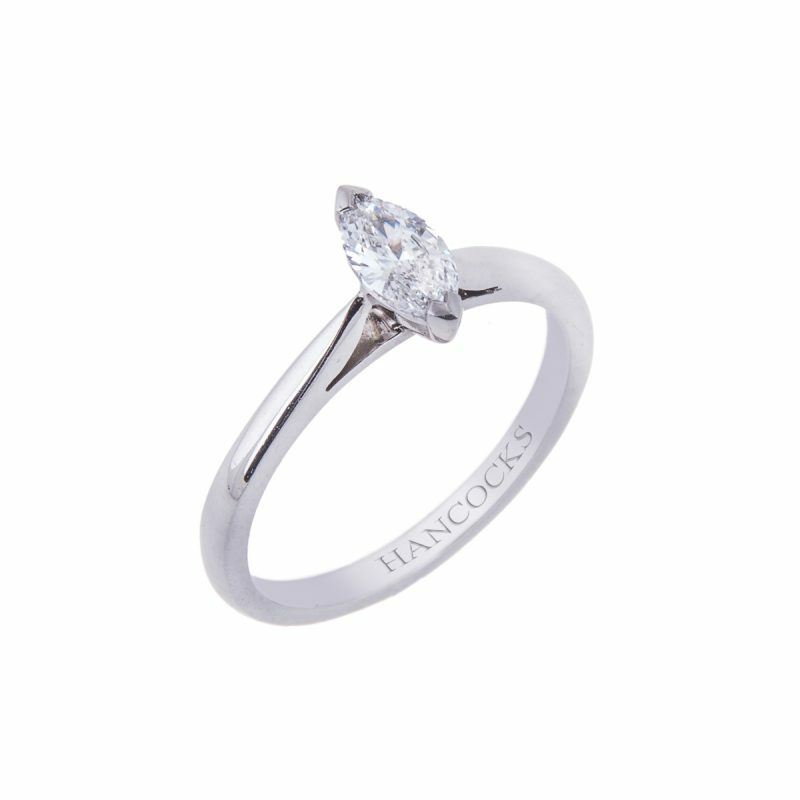 A beautiful ring to symbolise the precious moment when two people begin their life together.